The ADVA® LS family of admixtures is formulated with the latest patented polycarboxylate technology and is specially designed to reduce the stickiness of concrete, particularly high strength concrete. A high strength concrete mix typically has a low water-to-cementitious ratio and/or a high cementitious content, and therefore is prone to stickiness. This sticky concrete is difficult to place and pump, and runs the risk of rejection at the job site. With ADVA® LS admixtures, stickiness of concrete is significantly reduced while setting time remains neutral. They are designed specially to address stickiness in a concrete mix, and are also highly effective in mixes with poor quality aggregates. 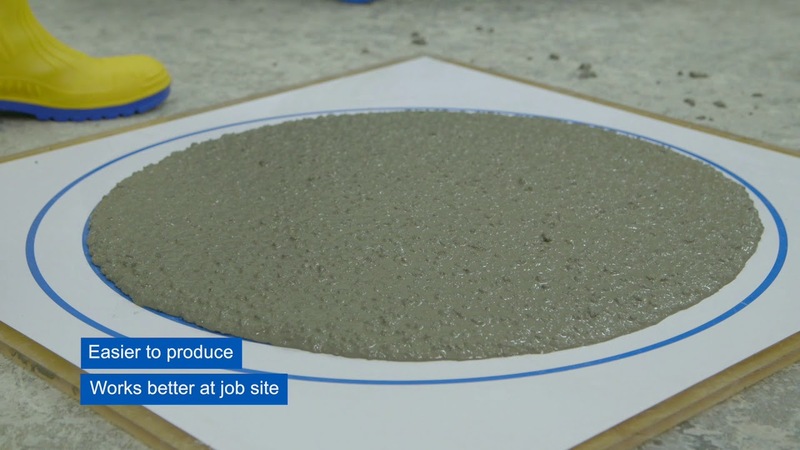 Both concrete producers and contractors can benefit from a less sticky, high strength concrete mix. The ADVA® LS admixture family can reduce the stickiness of any mix. Challenge us to find the right solution for your plant and project. Contact your local GCP representative for a consultation or click “Contact” at the bottom left of this page.